This circular walk begins at Grays Beach and passes near the site where the historic lightvessel 38, known as ‘Gull’ was moored until she sank in 1929. You pass the home of Darwin’s collaborator, Alfred William Wallace, one of the first buildings to be constructed from concrete, before heading north through the town. You then head north east, passing the windmill at Baker Street, dating back to the 17th century, before heading back down the busy A13 to Little Thurrock and then back into Grays. In 2015, at this point, we gathered in Grays Park and met representatives from the other 9 Thurrock 100 walks with their flags, before making our way to Grays Beach and into the new Village Beach Festival for a ceremonial finale. 10.00 Set off from Grays Beach. 11.00 Refreshment stop at Blackshots Leisure Centre (2 miles). 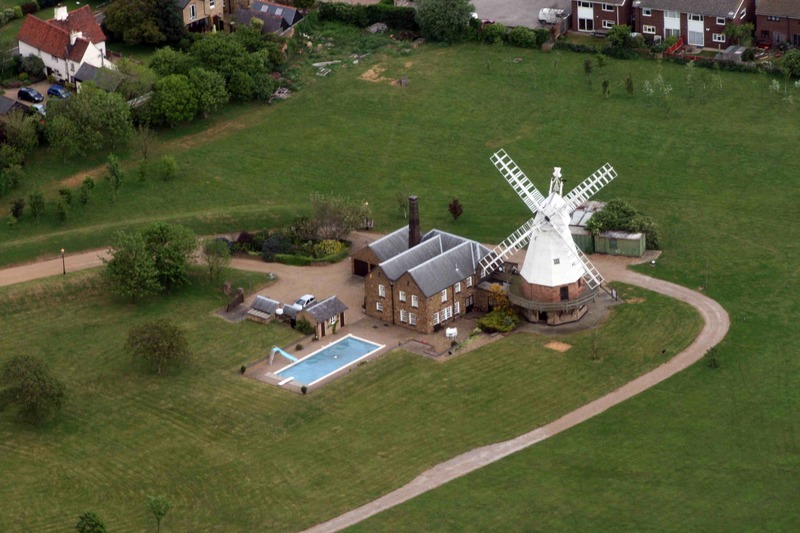 13.00 Pass the historic Baker Street windmill and the greenbelt surrounding Grays, followed by a refreshment break at the Kings Arms in Baker Street (6 miles). 15.00 In 2015 we then walked from Grays Town Park, through the town centre and into the Village Beach Festival. 16.00 In 2015 we then arrived at Grays Beach for the Village Beach festival, and an event on stage to mark the conclusion of Thurrock 100. 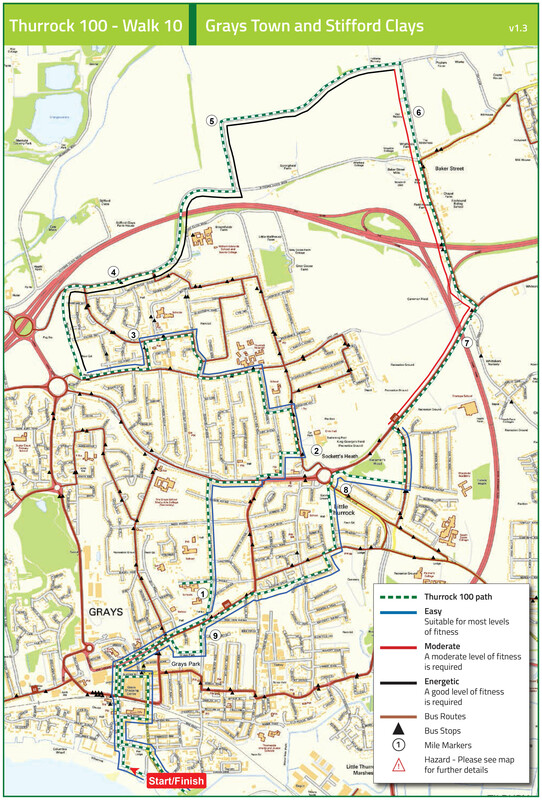 This walk originally took place on Saturday 18 July 2015.